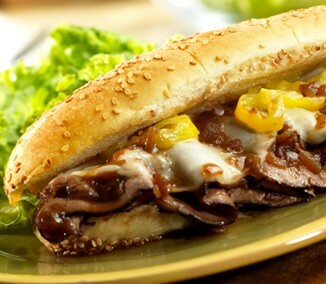 Savory Roast Beef Sub Sandwich! 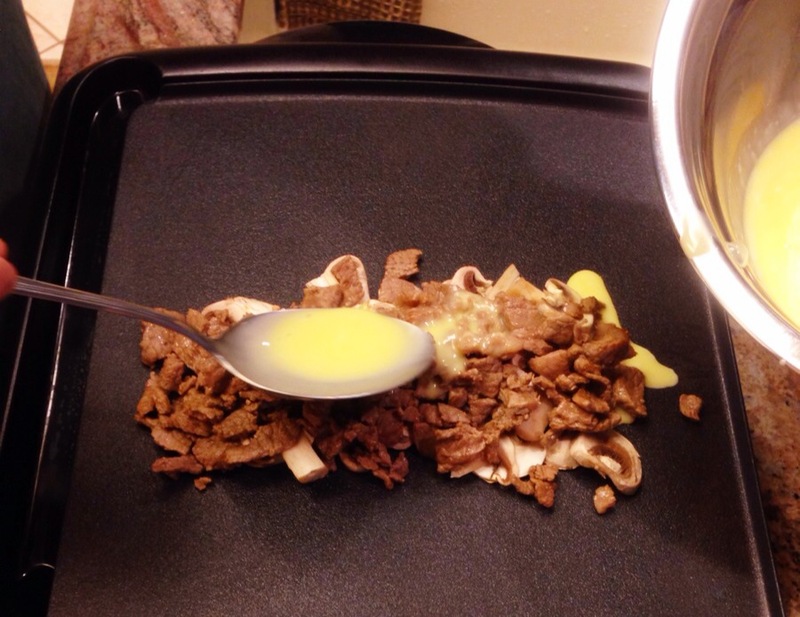 Let meat and mushrooms simmer together for a few minutes, then drizzle a few spoonfulls of beaten eggs on top. Allow the meat and eggs to set up briefly, turn it with a spatula and top it with sliced banana peppers and Provolone cheese. 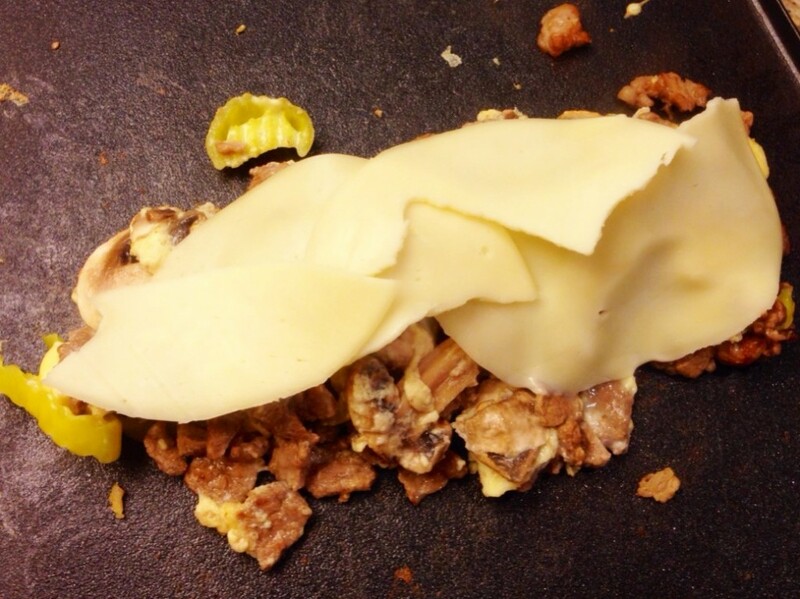 Let cheese melt good before putting mixture in bun. What are some yummy sandwiches you love to make–or go out and get at a favorite deli? If you try this, let me know how you like it. The Cookbook Challenge! Let’s Do Brunch!